There were some recent announcements about upcoming Microsoft Certification Retirement Plans. Among these plans is included the retirement of the 70-534 Architecting Azure Solutions exam. At first, this is a little surprising since the 70-534 exam is 1 of 3 core Azure certification exams, however, this retirement is much different than typical exam retirements. Normally, when Microsoft retires a certification exam it’s reached end of life and the technology covered is no longer current. With the 70-534 exam, Microsoft is implementing a significant content update / upgrade to the exam to keep it current with the current state of Azure Architecture. As a result, rather than simply updating the exam content, they have decided to retire the exam December 31, 2017 and replace it with a new exam; the 70-535 exam with the same name. 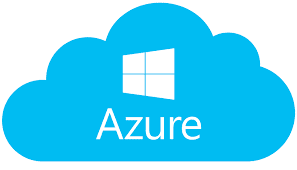 The 70-535: Architecting Microsoft Azure Solutions certification exam will replace the old 70-534. The core exam content will largely be the same, but the updates / changes are significant enough that a new exam number will help differentiate the difference. This is really a good thing, as it will likely help reduce confusion between the older version of 70-534 and the newer 70-535 content. Full exam objective details haven’t been announced by Microsoft yet, but the new 70-535: Architecting Microsoft Azure Solutions exam will replace the old 70-534. As a result, it looks like the 70-535 will count towards the the MCSA: Cloud Platform and MCSE: Cloud Platform and Infrastructure certifications. This would mean a direct replacement for the 70-534 as it’s been. The new Microsoft’s server operating system is finally here, and we’ve prepared a list of the most important new features, including the ones you won’t find on other blogs. Windows Server 2016 comes with PowerShell 5.0, a part of the Windows Management Framework 5.0. There are many improvements in PS5 (you’ll find a complete list in this blog post), including support for developing your own classes, or a new module called PackageManagement, which lets you discover and install software packages on the Internet. Windows Server Containers share a kernel with the host, while Hyper-V Containers have their own kernel, and both enable you to get more out of your physical hardware investments. On top of this, Microsoft announced that all Windows Server 2016 customers will get the Commercially Supported Docker Engine for no additional cost, enabling applications delivered through Docker containers to run on Windows Server on-premise installations or in the cloud, on Azure. Here’s an official announcement on the Docker blog, with much more details. 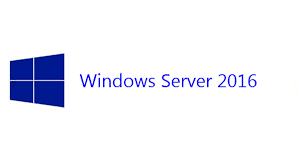 As stated on the Windows Server team’s blog post announcing the new version, Windows Server 2016 is immediately available for evaluation, and will be available for purchase with the first October price list, while volume licensing customers will be able to download fully licensed software at General Availability in mid-October. For any legal Copy Rights© claims pls contact with valid proof to the softshore.tricks@gmail.com ..